Mr and Mrs Maurice Gibb. I believe the Gibbs lived next door to Ringo In London. They did in Compton Av Highgate i was driving for Ringo at that time Ringo live at the bottom of the road and lulu half way up . 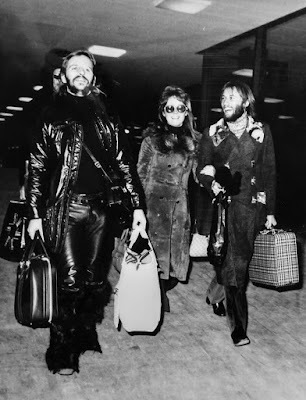 … with Lulu and her husband (at the time) Maurice Gibb, of Bee Gees fame.